Of all the countries in the world that are vital to the strategic and economic interests of the United States, Saudi Arabia is the least understood by the American people. Saudi Arabia's unique place in Islam makes it indispensable to a constructive relationship between the non-Muslim West and the Muslim world. Unfortunately, due to sales rights restrictions, we cannot offer Saudi Arabia On The Edge for sale in your country. Of all the countries in the world that are vital to the strategic and economic interests of the United States, Saudi Arabia is the least understood by the American people. Saudi Arabia's unique place in Islam makes it indispensable to a constructive relationship between the non-Muslim West and the Muslim world. For all its wealth, the country faces daunting challenges that it lacks the tools to meet: a restless and young population, a new generation of educated women demanding opportunities in a closed society, political stagnation under an octogenarian leadership, religious extremism and intellectual backwardness, social division, chronic unemployment, shortages of food and water, and troublesome neighbors. Today's Saudi people, far better informed than all previous generations, are looking for new political institutions that will enable them to be heard, but these aspirations conflict with the kingdom's strict traditions and with the House of Saud's determination to retain all true power. Meanwhile, the country wishes to remain under the protection of American security but still clings to a system that is antithetical to American values. 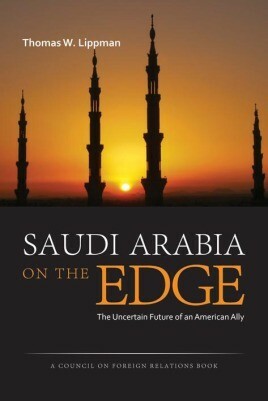 Basing his work on extensive interviews and field research conducted in the kingdom from 2008 through 2011 under the auspices of the Council on Foreign Relations, Thomas W. Lippman dissects this central Saudi paradox for American readers, including diplomats, policymakers, scholars, and students of foreign policy.